Health Insurance is a contract with a health insurance company, for which an insured pays a yearly fee for a plan or policy in lieu of coverage of the medical and surgical expenses by the insurer. In countries without universal health care coverage, such as India, One can have health insurance through an employer, or it can be bought individually. It becomes difficult to pay the hospital expenses by personal saving. So it is in essential fitness of things that one should buy health insurance. Health Insurance ensures help in critical health condition. It gives you the financial wherewithal to have regular medical check-ups. It is pertinent to note that not all insurance policies are the same. You might be able to purchase a cheaper policy elsewhere, but it may not provide the cover for the loss that occurred. You can find health insurance agents all over the country including the interior places. Chennai being a metropolitan city has an abundance of health insurance agents but finding the right one for you may be a tough task. Health insurance in Chennai typically pays for only inpatient hospitalization and for treatment at hospitals in Chennai. Outpatient services were not payable under health policies in India. But some companies are paying even that. We at PK insurance have done extensive research and continue to update ourselves on newer policies coming in everyday to enable our customers to get the best policy possible with more and more features and coverage. That is what makes Pk Insurance, the best agent for medical insurance companies in Chennai. Hospitalization plans are indemnity plans that pay cost of hospitalization and medical costs of the insured subject to the sum insured. 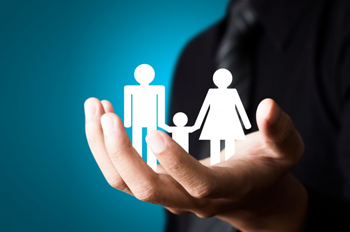 The sum insured can be applied on a per member basis in case of individual health policies or on a floater basis in case of family floater policies. In case of floater policies the sum insured can be utilized by any of the members insured under the plan. These policies do not normally pay any cash benefit. In addition to hospitalization benefits, specific policies may offer a number of additional benefits like maternity and newborn coverage, day care procedures for specific procedures, pre- and post-hospitalization care, domiciliary benefits where patients cannot be moved to a hospital, daily cash, and convalescence. There is another type of hospitalization policy called a top-up policy. Top up policies have a high deductible typically set a level of existing cover. This policy is targeted at people who have some amount of insurance from their employer. If the employer provided cover is not enough people can supplement their cover with the top-up policy. Daily cash benefits is a defined benefit policy that pays a defined sum of money for every day of hospitalization. The payments for a defined number of days in the policy year and may be subject to a deductible of few days. These policies pay out a lump sum in event that the insured is a diagnosed with one of the illnesses specified in the policy. Some of the policies require a survival period for the payout to take affect. It becomes difficult to pay the hospital expenses by personal saving. So it is in essential fitness of things that one should buy health insurance. Health Insurance help in critical health condition. 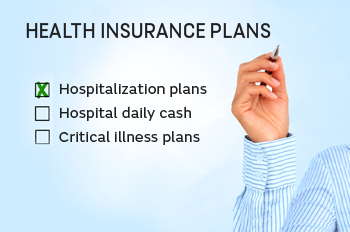 Health insurance gives you the financial wherewithal to have regular medical check-ups. Pk insurance offers wide choice of travel health insurance plans for the travellers from Chennai to overseas countries. Our best travel health insurance policy covers medical care, surgery, medicine and medical evacuation procedures. Pk Insurance agents assist in health, protection and makes travellers to travel with confidence. Get health insurance for overseas travel in Chennai. A good number of insurance companies are working in Chennai. They offer many packages and different medical insurances types. Buying health insurance can be stressful. Due to the prevalence of numerous amount of different health plans one can easily loose track. 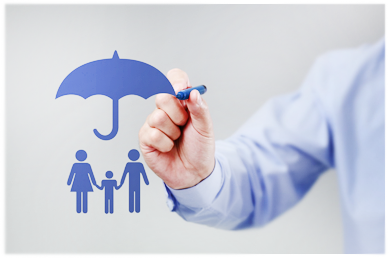 Pk insurance has taken up the responsibility to provide its customers with the right health insurance plans in Chennai. Here on Pk medical insurance, we have distinguished the best health insurance companies that are operating in the market and we've gathered all relevant data that you need. Top Health Insurance Agents in Chennai for choosing your best health insurance policies in suitable health insurance Companies in Chennai. 1. What kind of health insurance plans? We cover all accidental, disease, any critical illness, any viral infection ayush and other health insurance related policies. We have international coverage too. 2. Do you Cover out patient treatment? Yes we do out patient treatment coverage, but with certain limits. 3. Do you have family floater health policy or how many relations in one policy? Yes We can cover up to 19 relations in a single health insurance policy. 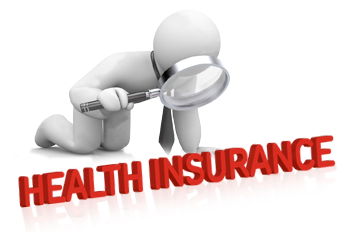 Guidelines for best health insurance policy in Chennai. Your health insurance policy should not have room rent capping. There should be no disease capping. Make sure to cover Ayush policy. Cover all day care policies. For financial year 2015-16– Deduction is Rs 25,000. The deduction for senior citizens is Rs 30,000. For uninsured super senior citizens (more than 80 years old) medical expenditure incurred up to Rs 30,000 shall be allowed as a deduction under section 80D. However, total deduction for health insurance premium and medical expenses for parents shall be limited to Rs 30,000. A top-up health insurance plan is a regular indemnity plan that covers hospitalization costs but only after a threshold limit is crossed. In insurance parlance, this limit is called deductible—the portion of the claim amount that is not covered by the insurer and which the insured has to pay before the benefits of the insurance policy can kick in. BP, Sugar, Asthma Insurance Day 1 Cover.